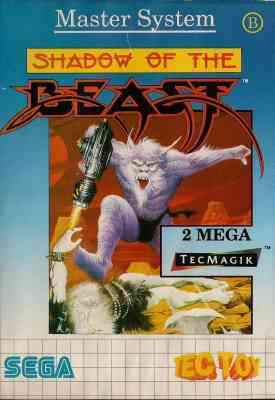 Shadow of the Beast - Games - SMS Power! From beyond the edge of darkness the warrior cries revenge. 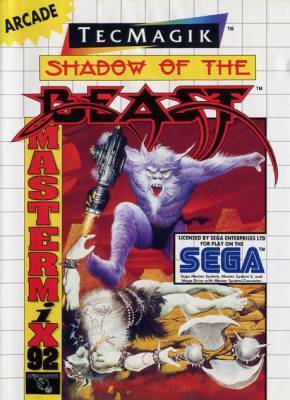 Shadow of the Beast™ is unleashed on the Master System in a superlative arcade adventure. 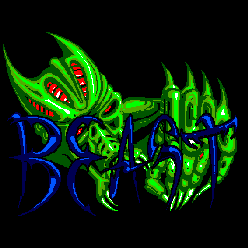 Relentless combat as the Beast battles over 100 different alien forms in 8 hostile regions of a supernatural World. It feels so real - you can almost taste knuckle. Bob Pape, Ed Hickman, Maureen Hands and Simon Freeman at Tecmagik Inc, Belmont, California U.S.A.